Developed by avian veterinarians and nutritionists, Oven Fresh Bites, provides the solution for the discriminating pet parrot owners who are looking for a nutritious, natural parrot food. 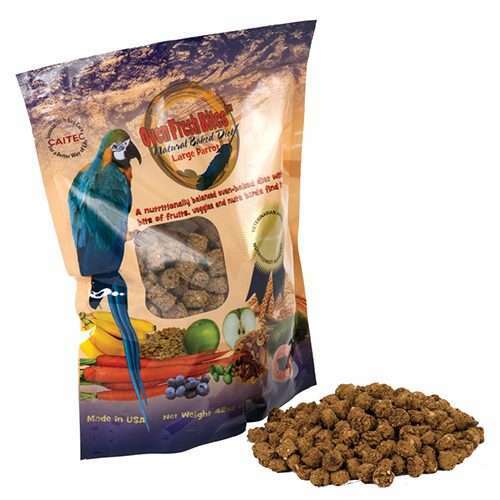 All Oven Fresh Bites parrot food contains natural ingredients sourced in the USA and are selected according to nutritious properties, quality, and appeal to the preferences of specific and exotic parrots. 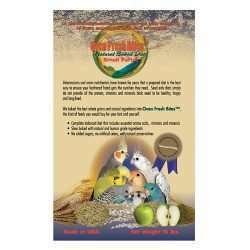 Each of these natural gourmet ingredients provides a specific nutritious benefit to your pet parrot. My Goffin Cockatoo really loves them. It is her main food. Bird loves them. They smell good enough to eat. Always prompt service and oven fresh bites are very much enjoyed by my sun conure. It was a difficult process when finding a healthy pelleted diet that she would eat but once we tried Fresh Bites we found the diet she loves. Also several years ago I updated my conure to a large quality made cage from Ceitec along with a balcony. She loves it! 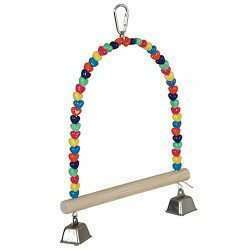 The variety and economically priced toys on their web site is wonderful. I have been very satisfied with all the products I have received from them and will continue to be a regular customer. My cockatoo, Berkley, likes them a lot. They have a very pleasant aroma, like graham crackers. i’ve been tempted, but haven’t tried them (yet ;-)). Now that my African grey has tried Oven Fresh Bites, she absolutely refuses to eat any other pellets! I like that they are free from artificial colors and smell good enough to eat. The medium bites are the perfect size for her. Awesome news! Guess what, these are actually human grade so feel free to try them yourself. All of our employees at Caitec have already tried them and they are definitely tasty. Thank you for the review! We greatly appreciate your feedback. Thank you! My sun conure loves her Oven Fresh Bites. I have tried several pelleted diets in the past without very little success but she took to these right away. Am confident she’s getting the nutrients she needs in her diet. She is twenty-three years old and still very healthy thanks to Ceitec. Love these parrot pellets. They actually taste pretty good (yep I tried one). Smells like a yummy cinnamon, oatmeal breakfast. No corn, no wheat, no sugar..just wholesome oats and other great foods. My greys actually like a smaller pellet, so I buy the small for my conures and greys. A middle size would be nice, the big ones are too big for my birds, but I have TAG and conure. Macaws would love the big ones. Thanks gor making a great parrot food. I have a female Cape Parrot who I’m trying to change from a seed diet to a pellet diet. She has not liked any of the pellets I have given her until I gave her Caitec Oven Fresh Bites. She started eating them right away. I’m so happy. I want to give her the best life possible. A good diet is very important for the health and well being of your parrot. Thank you Caitec. Our African Grey’s favorite pellet. My African Grey loves this food! My reason for giving a 3 star rating is #1 – The day I placed my order, I received a message saying that it shipped. I didn’t get an arrival date at any time. It finally arrived 10 days later….too long. #2 – I have Society Finches, and this company doesn’t sell food for small birds. I tried for 7 years to convert one of my CAGs to pellets. I tried every conversion method I read about and every one I could think of and had no luck whatsoever. And then, I happened upon a bag of these pellets. I put them in her bowl and she immediately started eating. Now, if I happen to run out and substitute another type of pellet, she will tell me “I am hungry hungry” or “I need some dinner in my bowl”. I have another CAG who came from a 300+ bird hoarding situation in 2016. She had almost died from starvation. She is obviously an older bird who. apparently had always been fed seed and she got a mix of that and another popular brand of pellets in the facility where she was quarantined for 6 months after being rescued. I brought her home with me after her release and it only took two days to convert her to Oven Fresh Bites. Now, when I offer a little seed as a special treat, she will totally ignore it because she only wants her pellets. The Oven Fresh Bites are a little pricey compared to other brands. It can be challenging for me to keep my 6 birds on it with just a VERY small income but I won’t even consider switching them to something else. These are very crumbly and so there is a great deal of waste. I have learned though to make use of the dust and crumbles and mix them into their fresh foods, their chop, grain bakes and even birdie breads. Jan, Thank you for trying our food, and nothing makes us happier to know your birds love the food. 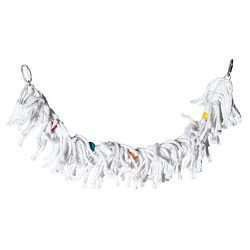 I have been using these for my birds for years and can recommend highly. This is the second time ordering, and I received the bird food much faster this time. Thank you. Ordering from Caitec and delivery went very smooth. My birds love Caitec Oven bites.